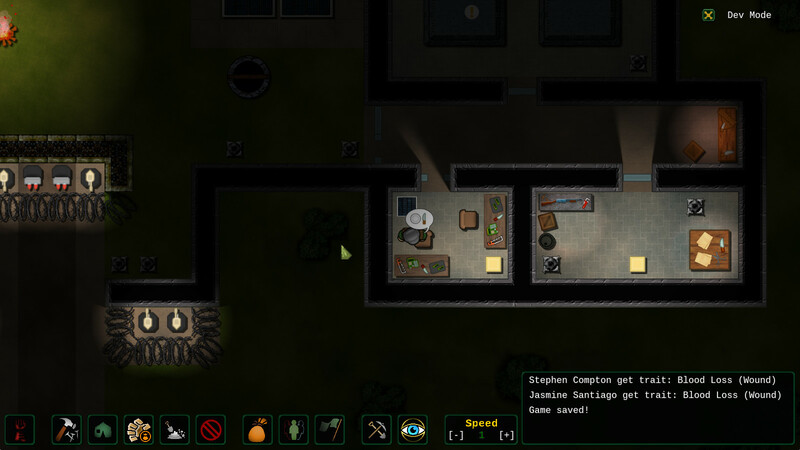 After the Collapse is a 2D city-planning simulator with a top view, the action of which takes place in a post-apocalyptic world in an urban setting. Your task is to manage a group of survivors, protecting them from attacks by marauders and mutants, as well as from other threats. To do this, it is necessary to build a base, constantly expand it, explore new technologies and extract resources. Thanks to the urban environment, After The Collapse focuses on finding useful resources, researching technologies and restoring damaged buildings. 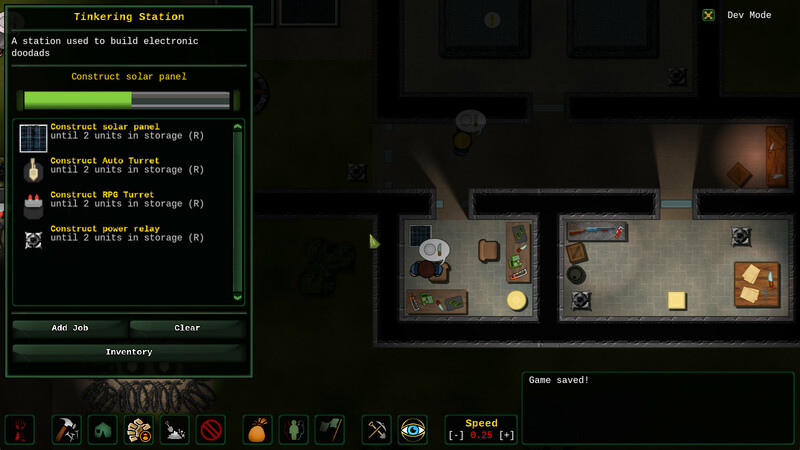 You need to send your people for reconnaissance to explore the empty world and find other groups of survivors with whom you can trade, thus developing your small colony. After the Collapse is a simulator game that will allow you to fully demonstrate your strategic abilities and skills. Here you will build large-scale and multifunctional cities, trying to take under full control all aspects of its activities. All actions will take place from the top, which will allow you to accurately identify the needs of city residents and control life. The world around us has a peculiarity generated at random, which will make your task even more interesting, but at the same time more complex. The environment will be quite hostile, from here and there will be various problems that will not cope with that. The story will tell you about a terrible catastrophe, where practically nothing remained of humanity, and the survivors gathered together to re-create the world. Explore all new and new technologies that were invented by mankind, to ensure the relocation of comfort and safety of life. Control the development of infrastructure, not forgetting about educational institutions and medicine. Take care of supply and trade, after you have obtained a sufficient amount of useful resources and materials. Natural disasters, marauders and mutants — all this will become a threat not only for you, but also for the whole settlement, so you should prepare for children’s battles. 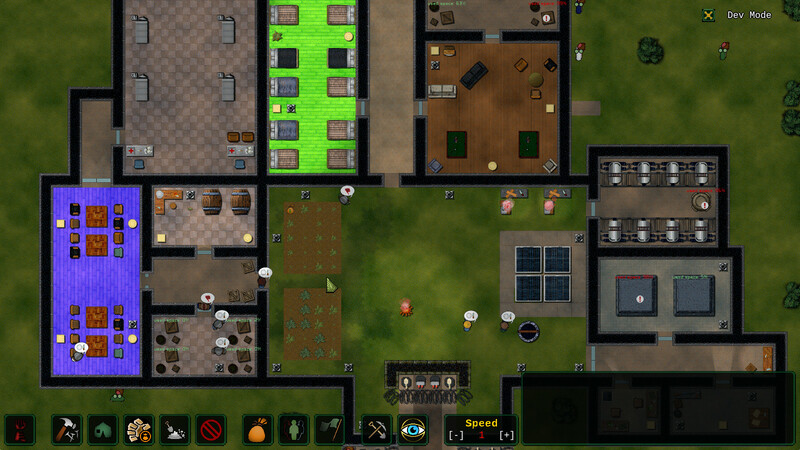 This game has been updated 10-03-2019, 09:39 to the latest version v0.5.4. Survivors will pickup food from the ground when hungry. Altered needs' levels for cautious/critical. Factory put production in last user inventory if possible. Conflict between fallow farms and new prioritization of orders. Unable to pickup plants while the fields are fallow. People could click on rain collector and generators' progress bars. Rare crash caused by drop down menus. Middle click when reentering the game while the window isn't focused no longer move the map erratically. Gun crafting station set as path-blocking, preventing users from reaching their proper work location. It was possible to build (buggy) stairs over blackened walls when the intented behavior is "only above empty cavern"